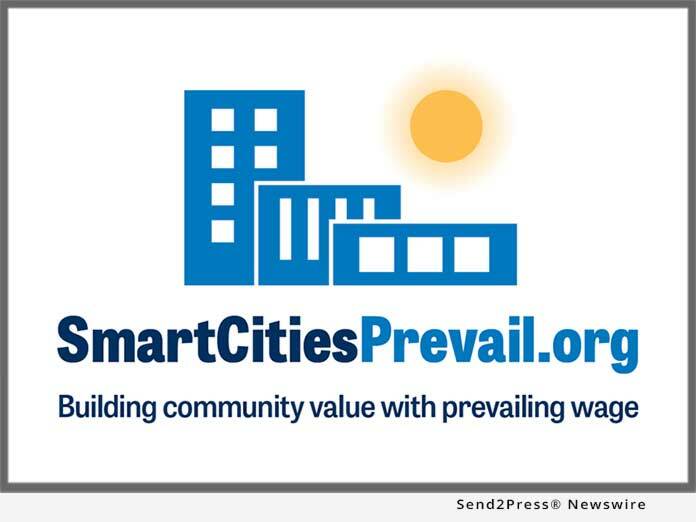 OAKLAND, Calif., Jan 14, 2019 (SEND2PRESS NEWSWIRE) -- According to California's Housing and Community Development Department (HCD), the golden state must dramatically increase the productive capacity of its residential construction sector in order to create enough new housing to improve affordability. However, new research released today by Smart Cities Prevail shows the industry has failed to make the investments necessary to compete for the more than 200,000 new workers necessary to meet this ambitious goal. "The data shows residential construction work is more dangerous, economically risky, and lower paying than most other jobs in our economy," said study author Scott Littlehale. "When you consider these dynamics alongside the industry's aging workforce, its failure to institutionalize investments in apprenticeship training, and a shrinking supply of young workers and immigrants, it is clear why the housing sector is struggling to attract the new workers it needs." While construction jobs require longer commutes, more flexibility in work hours, and far higher risk of workplace injury and death than other jobs, Littlehale found residential construction workers earn 24 percent less per year than all other jobs on average, and less than half have health insurance coverage through their employer. Wage theft in the industry has grown by 400 percent since 1972. When adjusted for cost of living, California's median construction wage ranks 46th in the United States. Compounding the problem, Littlehale found, is that the labor pool on which residential construction firms have relied since the 1980s is shrinking. California's stock of young male workers without a college degree has fallen since 2005, and its supply of non-naturalized immigrants has decreased by almost 350,000 between 2005 and 2016. "Because of its decades-long reliance on a lower-wage, lower skilled workforce, California's housing construction industry finds itself ill-equipped to compete in today's labor market," Littlehale added. "Considering the inherent physical dangers and economic volatility, the work simply does not pay enough to lure workers away from other states or other industries." While construction requires substantially more pre-employment training than most other jobs, Littlehale notes the residential construction industry has largely avoided institutionalized investments in apprenticeship. The few programs that are offered are managed only by employers and funded on a "voluntary" basis-and produce 90 percent fewer workers than "joint labor-management" programs financed through collective bargaining agreements and prevailing wage laws. "Housing contractors have no real incentive to invest in training programs that would attach a more stable supply of skilled labor to the industry unless their competitors are doing it too," Littlehale said. "As a result, the industry lacks a training pipeline capable of attaching an adequate supply of skilled workers to residential construction careers." "As the industry moved away from arrangements that were able to attract, retain and re-supply the industry's stock of skilled labor, it has generally relied on a large number of low wage workers to meet increased production demands," Littlehale observed. "That option no longer exists, so housing contractors need a strategy to attract and retain more skilled workers." Though the housing sector has focused on regulatory reforms to accelerate approvals of new construction, Littlehale believes such changes are unlikely to affect the industry's overall productivity without addressing the shrinking labor pool and lagging productivity. "Ultimately, housing builders' reservoir of low-wage, less-skilled labor is not refilling itself," Littlehale concluded. "The industry should consider labor-management cooperation measures like prevailing wage and collective bargaining agreements because they are consistently associated with higher wages, increased apprenticeship enrollment, more production efficiency, and fewer workplace safety problems. By improving labor market competitiveness, wider utilization of these workforce development arrangements would help restore California residential building to the production engine it once was." Scott Littlehale has authored numerous studies on the U.S. political economy, labor related public policy and the construction industry since 1993. He served on the technical committee of CASA - The Committee to House the Bay Area - between 2017 and 2018. Follow him on Twitter.